What is better than drinking wine? Drinking wine for a great cause! Lloyd Construction is proud to be a Friend of the Zoo Sponsors of this year’s Wine Gone Wild event at the Reid Park Zoo. The event is from 6:00 -8:30 pm on April 7, 2017. All funds raised will go directly towards the welfare of the animals and the upkeep of the zoo. This is the 3rd year for the event and promises to be even bigger than last year. There will be wine and spirits from a number of local wineries, distillers and distributors. Food will be catered by Taste Catering and there will be live music from Santa Pachita. Ticket prices go up on the day of the event, so purchase them early. 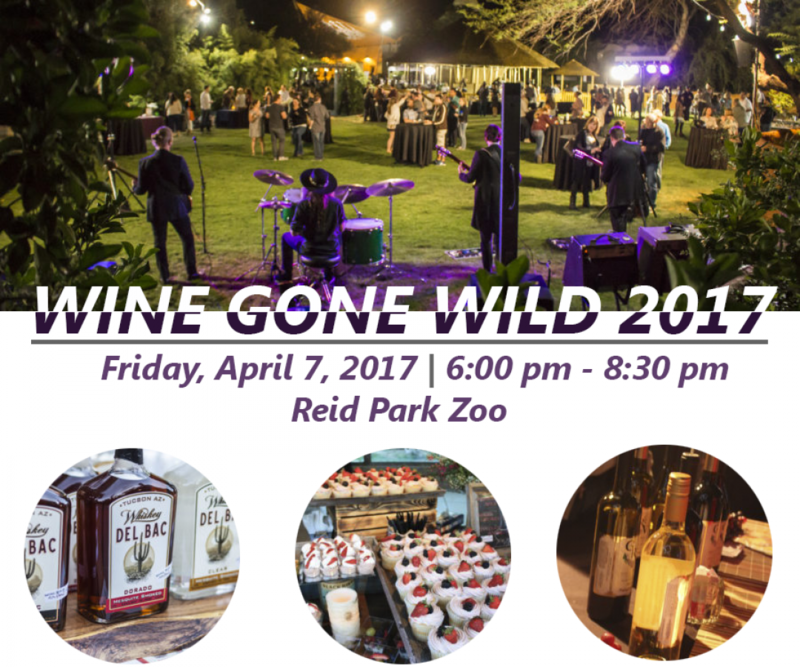 For more information and to purchase tickets, please visit the Reid Park Zoo’s – Wine Gone Wild page. Previous articleGround Breaking for New Animal Health Center at Reid Park ZooNext article Special Thanks to All Who Helped Us Support the Centurions of Southern Arizona Charitable Foundation!